I Am Second – encouraging stories of hope. Ever need encouragement? Feel like it’s you against the world? Wondering if others struggle too? 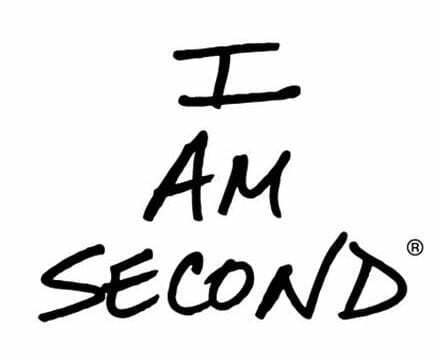 Visit I Am Second. Be inspired to live for God and for others. It’s not all about you and I Am Second will help you realize that in God’s plan. We are not why we exist. The authentic stories on I Am Second provide insight into dealing with typical struggles of everyday living. These are stories that give hope to the lonely and the hurting, help from destructive lifestyles, and inspiration to the unfulfilled. You’ll discover people who’ve tried to go it alone and have failed. Find the hope, peace, and fulfillment they found. Be Second. TheHopeLine’s partner, I am Second, has a vision of restoration of the world as it was meant to be. People redeemed and lives transformed. Relationships rebuilt, communities revitalized, and culture restored. They seek a world where people become second, serving and loving each other as they put Jesus first.